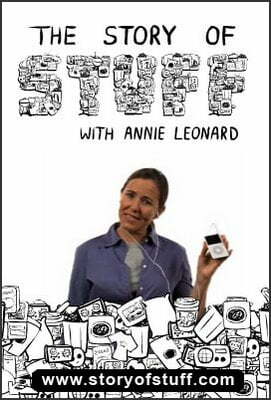 A few years ago, Annie Leonard created a video called ‘The Story of Stuff‘ where she used basic animation to communicate to people where all of their ‘stuff’ went. The video went viral and has been viewed by millions. Since then, she’s made videos on ‘The Story of Cap and Trade’, ‘The Story of Cosmetics’ and ‘The Story of Bottled Water’. Here’s what’s so brilliant about it. She created the initial video and it was a success. But then she asked, ‘what else could I do with this brand?’ I see so many entrepreneurs create their initial offering and, when they’re met with success, stop. They tell themselves, ‘well, everyone’s bought my movie! There’s nothing else I can do!’ It’s like the therapist who is so good that his clients get better and don’t come back. Never thinking that maybe he could also write a book, start delivering talks and workshops, or create products to sell. Also – her videos are so good that groups around the world use them to make their points. Not a bad way to make a name for yourself. Make tools that are so good that people around the world use them for their own causes. She’s become a hub and trusted advisor in the field of sustainability – even a celebrity.